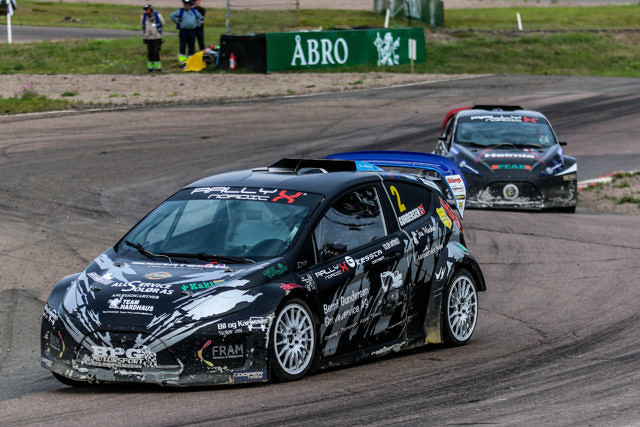 JC Raceteknik has revealed its first drivers for the 2019 RallyX Nordic presented by Cooper Tires season with the confirmation Ben-Philip Gundersen, Sondre Evjen and Jimmie Walfridson will continue with the team in the Supercar Lites category. 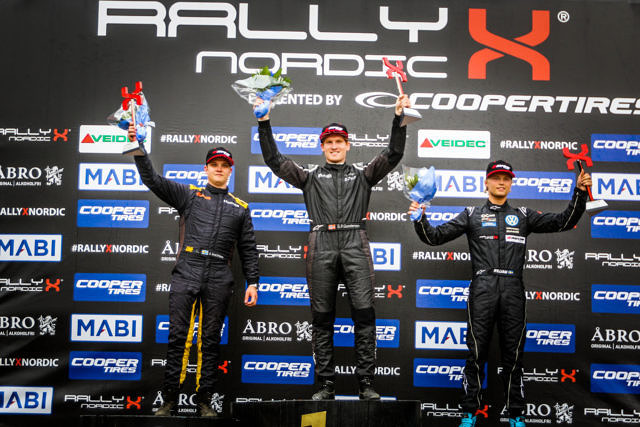 The trio each enjoyed strong 2018 campaigns alongside their commitments in the RX2 International Series, with Lites rookie Gundersen leading the team’s efforts with a victory in Kouvola to take the title fight down to the final round of the season. Eventually finishing runner-up to Guillaume De Ridder in the overall standings, Gundersen is looking to go one better this season with a run at the title trophy. 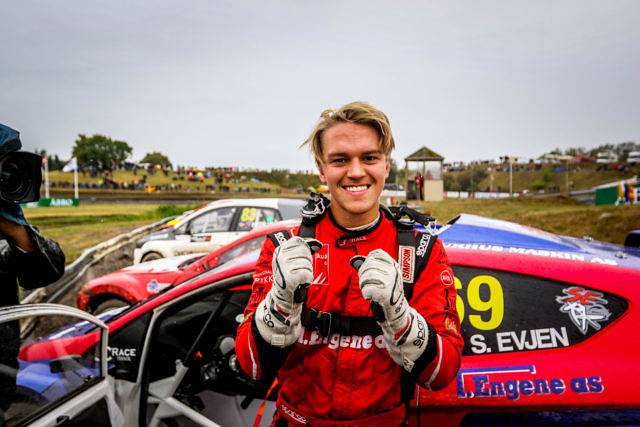 “We had a very good first year together in 2018, so I am pleased to be continuing with JC Raceteknik for the 2019 season and I am really looking forward to coming season,” commented 2016 FIA European TouringCar Champion Gundersen. Fellow Norwegian Evjen also tasted the winners’ champagne in 2018 with a dominant win in Nysum, the 21-year old concluding the season in third position. Walfridson, meanwhile, ensures at least three of JC Raceteknik’s leading contenders return for the 2019 season. Competing under the Helmia Motorsport banner once again, Waldfridson enjoyed a strong end to his rookie year in 2018 with a maiden podium in Kouvola lifting him to seventh overall. Jimmie Walfridson and Ben-Philip Gundersen are joined by Willian Nilsson in an all-JC Raceteknik podium in Finland. 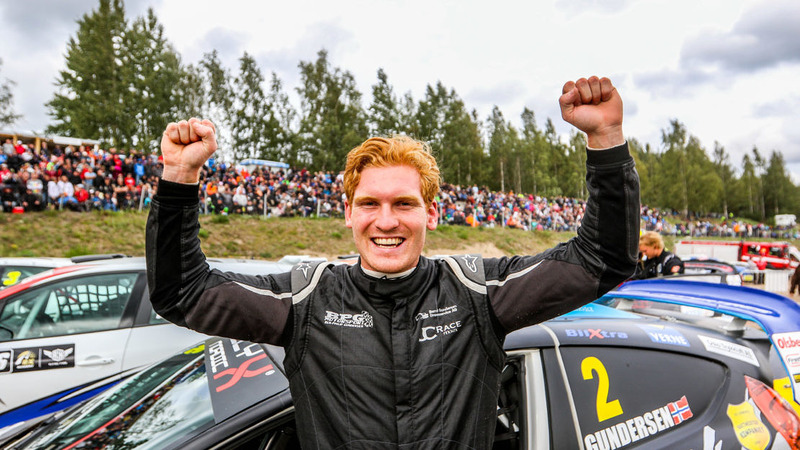 “It’s great that Evjen, Gundersen and Walfridson are back on board and ready for a new season with JC Raceteknik in both RallyX Nordic and RX2,” added team manager Joel Christofferson. We have had Sondre in the team for several years and it feels good to be continuing with him, while Ben-Philip showed excellent potential in his rookie year so I expect him to be in the hunt for titles. Walfridson will run in RallyX Nordic and scored some impressive results too in his rookie campaign last year. We performed well last year, but this year we want to take away the title this time! With Gundersen and Evjen also confirmed for the RX2 International Series again, attention turns to JC Raceteknik’s plans for the Supercar class after purchasing a pair of ex-factory Audi S1 Quattros, first prepared by Mattias Ekstromg’s EKSRX team for the 2017 World Rallycross Championship. Full details of its Supercar intentions will be announced at a later date.